Chainsaws are some of the most useful and versatile tools in the world. They are widely used in most parts of the world by homeowners/ seasonal users and professionally by firefighters, loggers and other users to cut down trees, for firewood and for various other uses. For chainsaws to run however, they must be powered by engines. These engines consume fuel for combustion to occur and for lubrication as well. This fuel is a mixture of gasoline; required for combustion and oil; which is required for lubrication of the pistons and the other internal parts of the engine. Chainsaws like all other small portable gasoline powered machines use two-stroke engines. So what exactly is a two-stroke engine and how does it work? How does a two-stroke engine work? A Two-stroke engine is made up of two cycles of strokes; the intake/exhaust and the compression/combustion strokes. During the first stroke or cycle, the air-fuel mixture is taken in from the carburetor via the intake valve while the exhaust from the previous cycle is ejected through the exhaust tube. During the second stroke; compression/ combustion stroke, the air-fuel mix is compressed together with exhaust gases which may have been sucked in during the first stroke until the piston reaches the highest point in the cylinder. Usually, when the piston is at its highest point, a spark plug ignites the air-fuel mixture causing a violent expansion of gases which in turn force the piston downwards. The piston then powers the crankshaft which also causes your chainsaw to start. The two-stroke engine has more power-to-weight-ratio because the power is produced once in every two strokes unlike in four stroke-engines where power is produced once in every four strokes. Technically, a two-stroke engine uses more fuel consumption than a four-stroke engine but produces more power and is simpler and cheaper to make as well. Most chainsaw manufacturers recommend a gasoline to oil ratio of 50:1 in two-stroke engine fuel. This is the fuel mixture that is commonly used to power a chainsaw while lubricating the internal parts of the engine to prevent excessive wear to the pistons. Although you can get pre-mixed oil for two-stroke engines, you will save some cash if you mix your own fuel. 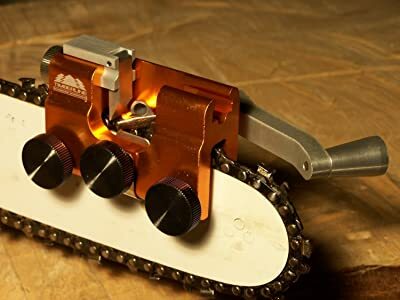 Learning to mix your own fuel in the right ratios might not be as complicated as you may think and it will help you in maintaining your chainsaw and enhance its performance as well as its durability. Assemble all the Materials Required. This should include; a bottle of the recommended two-stroke oil for your chainsaw make, unleaded petrol (89 octane or higher), an uncontaminated, fuel -appropriate container, a clean rag and your chainsaw of course. Gather all these materials and move them to a well-ventilated area or an open space away from children, any distractions and any fire. Ensure that no one is smoking near you as this could also potentially cause fire. Ensure that your chainsaw is off and has cooled down before you begin. Pour half of your unleaded petrol ( ½ a gallon) into the clean fuel container then pour all the chainsaw oil recommended for the correct mixture ratio which is 50:1 or (2.6 oz. oil per 1 gallon of gasoline). Close the container tightly using its lid and shake well for 10 to 15 seconds. 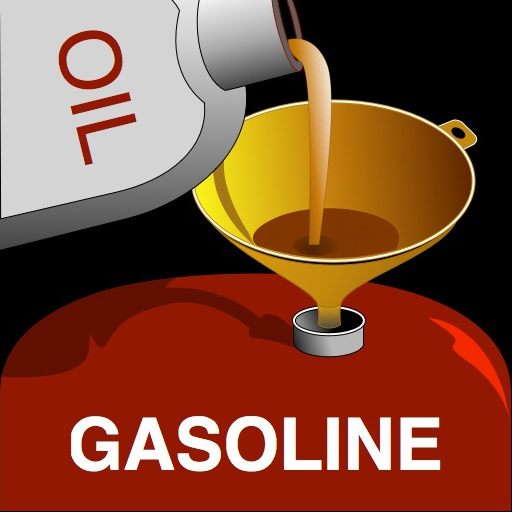 Open the lid of your fuel container and add in the rest of the gasoline (the remaining ½ a gallon). Then shake for another 10 to 15 seconds. The gasoline-oil mixture should be well mixed by now. Remove the chainsaws fuel cap from the gas tank and add in the petrol-oil mixture to about 80 % of the tanks volume. This is to keep the pressure down and to allow the mixture to continue mixing in the tank. It will also help you avoid spillages. Replace the cap on the gasoline tank and close it tightly. Wipe fuel spillage using the clean dry cloth. If you want to use the chainsaw immediately, make sure that you move at least 10 feet from where you fueled it before starting it up. Ensure that you have switched off your chainsaw and given it sufficient time to cool down before beginning the mixing and the fueling process. Always use the chainsaw oil that is recommended for your chainsaw model and for a two stroke-engine. Ensure that you always use the correct oil-gas ratios to ensure that your chainsaw runs efficiently. Ensure that you don’t have fuel spillages on your clothes, your body or the area around you when you start your chainsaw.